Ford Mondeo Running Costs, MPG, Economy, Reliability, Safety | What Car? 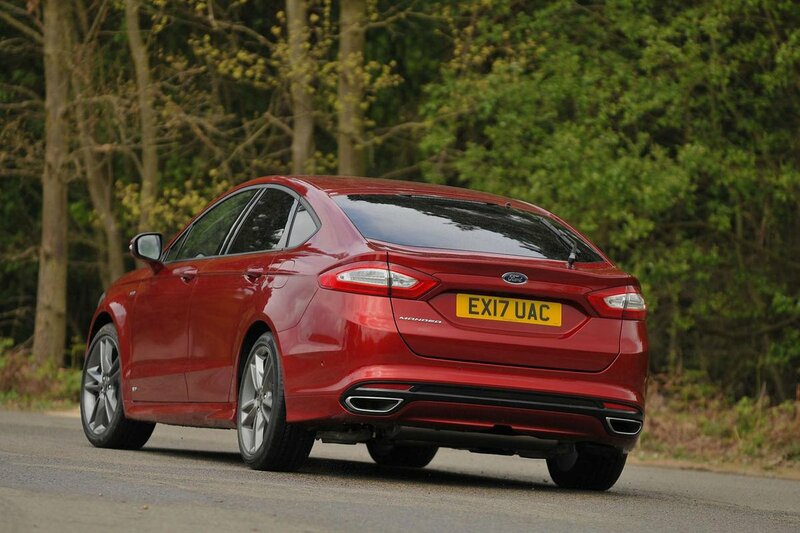 Whether or not the Mondeo makes financial sense for you really depends on how you're buying it. You'll need to negotiate a big discount if buying privately to make up for heavy depreciation, and PCP finance deals aren't particularly competitive, either. However, if you're considering the Mondeo as your next company car, then it is quite a bit more compelling. The 1.5 TDCi emits just 94/km of CO2, less than any Skoda Superb or Vauxhall Insignia Grand Sport, so the Mondeo qualifies for a lower rate of benefit-in-kind (BIK) tax than its rivals. The diesels are all relatively efficient but, again, the 1.5 leads the way. The promise of 78.5mpg may be wildly optimistic but the 53.7mpg the car achieved in our real-world True MPG tests is still very impressive for such a big car. The hybrid version is in an even lower BIK tax band. However, it isn't as good to drive or as practical so is best avoided. It's the cheapest versions of the Mondeo that undoubtedly make the most sense, so we reckon entry-level Zetec Edition trim is all you really need. You get plenty of standard kit, including 17in alloy wheels, dual-zone climate control, front and rear parking sensors, cruise control and sat-nav. Stepping up to ST-Line brings bigger wheels, sportier styling and push-button start, but you also get sports suspension that does the ride no favours. However, if you want leather seats, then it is worth thinking about Titianium Edition trim; as well as hide upholstery, it also brings automatic lights and wipers, keyless entry and start, as well as electric and heated seats front seats. The posher trims, including ST-Line Edition and Vignale, are too pricey to recommend. 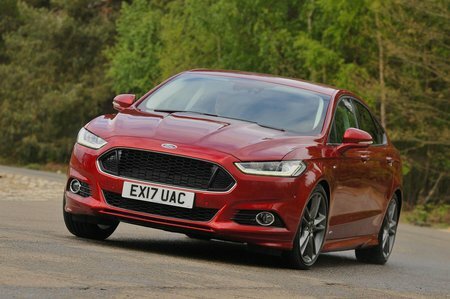 In our latest reliability survey, Mondeo owners reported fewer faults than owners of other non-premium-badged executive cars. The Superb and Mazda 6 weren't found to be quite as dependable, although the Hyundai i40 was the worst in class. Ford’s dealership network is also huge, so unless you live in a particularly far-flung corner of the country, you shouldn’t have to travel far to get any issues fixed. A standard three-year/60,000-mile warranty is included, although you can extend this for a reasonable extra fee. The Mondeo was awarded the maximum five stars in its Euro NCAP crash test back in 2014, with scores of 86% for adult occupant safety, 82% for child occupant safety and 66% for pedestrian protection. These are virtually the same as those of the Volkswagen Passat, although the Mondeo fared slightly worse for side-impact protection. However, it's worth remembering that today's Euro NCAP test is more stringent than it was back then. To help you avoid a shunt in the first place, all Mondeos come with automatic emergency braking and emergency assistance. Inflatable outer rear seatbelts (a small airbag helps distribute the force of the impact more evenly) and blindspot monitoring are on the options list. Meanwhile, lane-keep assist and traffic sign recognition is standard from Titanium Edition trim upwards. 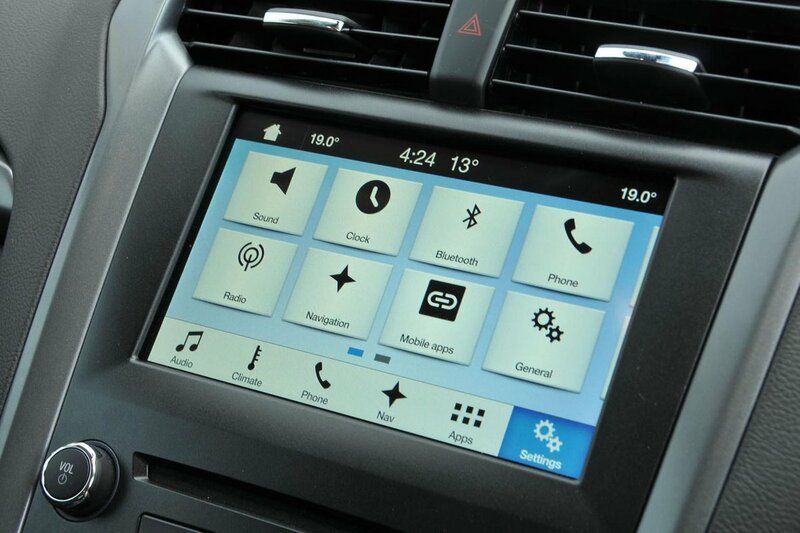 Security experts Thatcham Research gave the car five out of five for resisting theft and four out of five for resisting being broken into, suggesting the Mondeo will be on a par with rivals, which virtually all achieved the same ratings. All Mondeo models get an alarm and engine immobiliser, too.